Whether you are playing local clubs and bars trying to get your band off the ground or selling out arenas, one thing remains the same — playing guitar or bass does a number on your body. The long, grueling hours of practice you have put in perfecting chords and melodies is not only taking its toll on you mentally but physically as well. 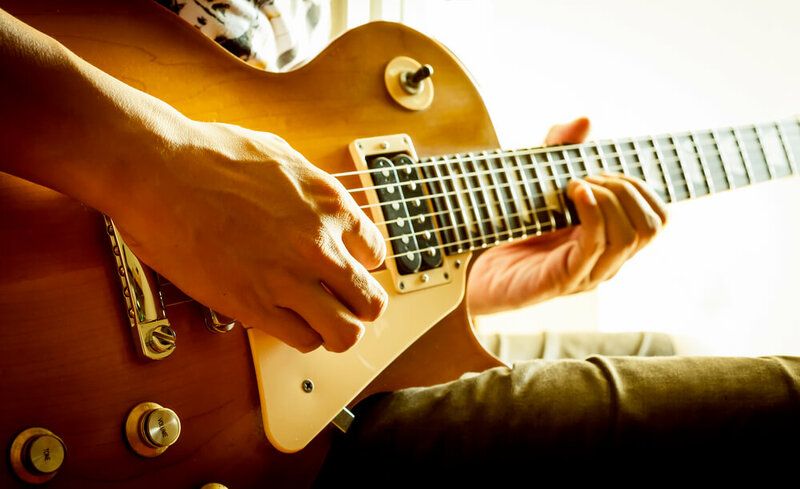 Some of the more common injuries associated with guitar and bass include repetitive strain injury (RSI) and spinal conditions. If you feel that you are succumbing to these injuries or simply want to avoid these injuries, please inquire about Pain Physician NY’s Musicians Resource. Make your appointment today. Come see our sports injury and pain management clinic and meet our team of pain management doctors in Brooklyn. Experience, skill, knowledge and compassion. Get the pain relief you need in the safe, reassuring hands of the best rated pain management doctors and specialists in Brooklyn. 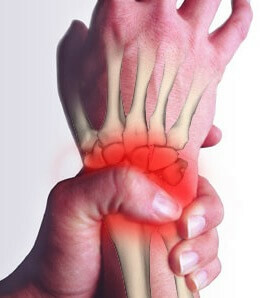 Why does repetitive strain injury happen? Over time, perpetual bending and contracting of the fingers causes micro-tearing and inflammation of the tendons in the hand. If these tears are not properly addressed they become exacerbated leading to chronic pain and limited mobility in the fingers. This limitation significantly affects your ability to control the chords and frets needed to produce the right notes. 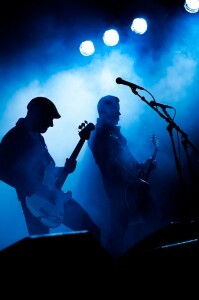 Very few guitar and bass players play their instrument standing completely upright and stay in one position during the show. Most shift their body positions and stances throughout the show. The average model guitar weighs from 7.5 lbs – 10 lbs and almost all that weight is borne by the musicians shoulders. Similarly, a bass guitar can weigh from 8 lbs – 12 lbs with the weight bearing being the same. It is often considered stylish to wear the guitar or bass low on the body. Although this may appear aesthetically more appealing, it affects the musicians center of gravity and can make the weight of the instrument much more forceful on the joints and spine. This constant weight leads to nerve compression and chronic pain disorders. Also, to put on a good show, musicians must be mobile on stage. This does not mean diving off 20-foot speaker stacks or jumping into the crowd. Those are blatantly dangerous and not much can be done to prevent injury except hope the crowd likes you enough to actually catch you. Guitar swings, jumping up and down, and rocking back and forth are the basic moves for musicians. However, with the added weight of the instruments these simple moves become overly exaggerated and concussive. Not only is the spine absorbing the weight of the body when landing but also the added weight of the instrument and poor posture it creates. The added weight can become up to 10 times concussive onto the spine every time you land.